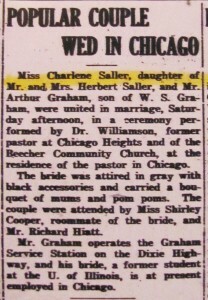 Wife of Arthur Graham, married November, 1945. Funeral services were held yesterday for Mrs.Charlene Marilyn Graham, 602 Orchard Lane, who died Thursday, Aug. 24, in her home. 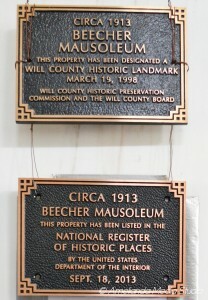 Services were held in the Hack Funeral Home, Beecher, and burial was in the Beecher Mausoleum. 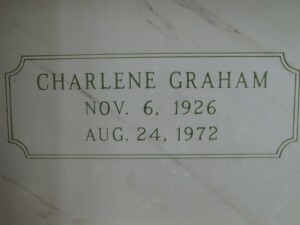 Mrs. Graham was born November 26, 1926, in Chicago Heights. She lived in the area all her life. 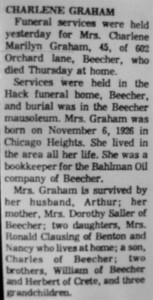 She was a bookkeeper for the Bahlman Oil Company of Beecher. 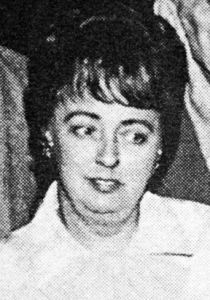 Mrs. Graham is survived by her husband, Arthur; her mother Mrs. Dorothy Saller of Beecher; two daughters, Mrs. Ronald Clausing of Benton and Nancy who lives at home; a son, Charles of Beecher; two brothers, William of Beecher and Herbert of Crete, and three grandchildren. This entry was posted in Automated Burial Listing, Beecher Women's Welfare Club, Burial Listing, Burial Location, HEADSTONE, Obituaries- Have Full Copy by Sandra. Bookmark the permalink.